24 Dec Filed under Uncategorized. Bookmark the permalink. 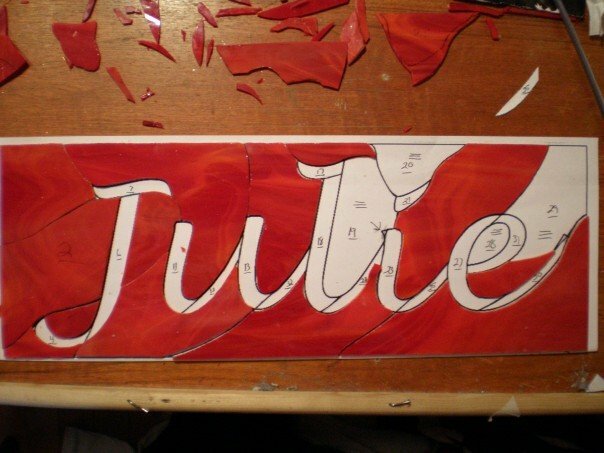 2006 was the year when I grew most as an stained glass artist. I was living in New York City, unemployed and my savings were dwindling. I was post college, and I had to start making tough grownup decisions. How do I pay my rent, buy a metrocard, pay for food, utilities, and service my student loans? Which one could I forego this month? How could I live on less? For the first time, I understood poverty. People around me told me to try to get a job at Goldman Sachs, or at a consulting firm. But that wasn’t why I moved to New York. 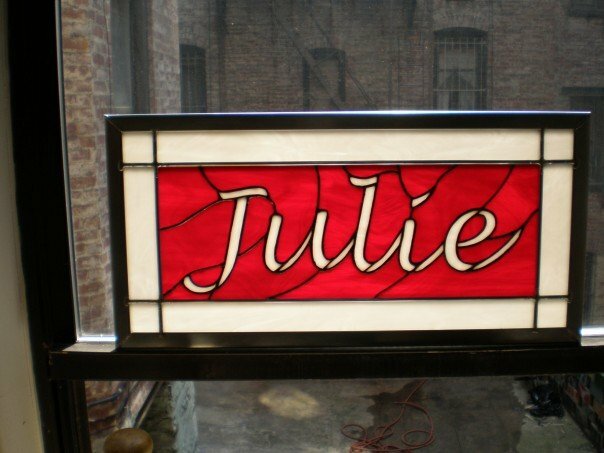 I moved there to improve my skills as a stained glass artist. I wasn’t about to abandon my dreams. So I worked at my craft. Everyday I made something. It didn’t matter what I made, as long as I honed my skills. I went to galleries and roamed the streets for inspiration. I made mosaics. I replicated installations in the subway, but I was never satisfied. “I want her to know that I love her” he said. “Well why don’t we just say that in glass?” I decided. It was an important moment for me as an artist. 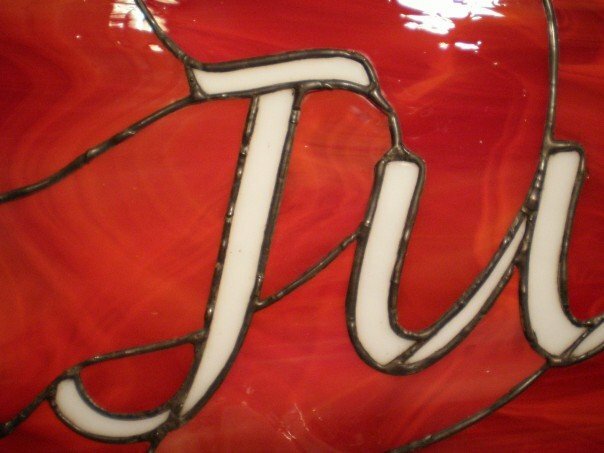 I discovered that I loved writing in glass. 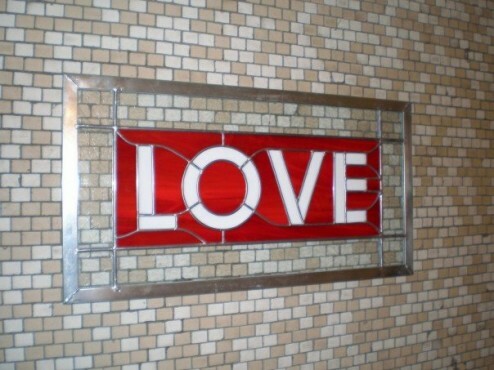 Who says that stained glass has to be abstract, religious, or a floral arrangement? 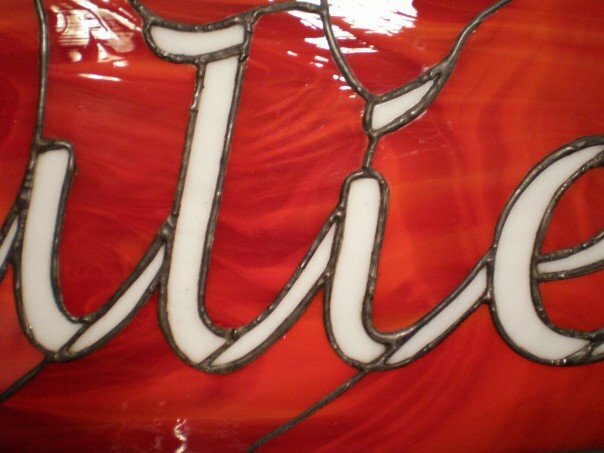 I began making unabashedly simple stained glass panels that said what it meant, and meant what it said. I called it Well Spoken Art. I generated new business by taking a panel on the train with me. People would approach me and ask me about the art, and a few people would take my business card, which lead to new commissions. I deeply immersed myself in my craft. I gained the ability to critically look at other people’s work and to quickly identify the slop from the excellence. I could identify the company that they got their stained glass materials from. I began to appreciate structural and design risks taken by artists that I never appreciated in the past. I discovered that the lead lines could be just as interesting as the glass. No longer do I strive to live a life free of struggle. Instead, I strive to understand pain, struggle, stressors, and challenges so that I can used them fuel creativity, innovation, and to solve problems. Thank you New York for teaching me the discipline of craftsmanship. I am happy that I did not give up. 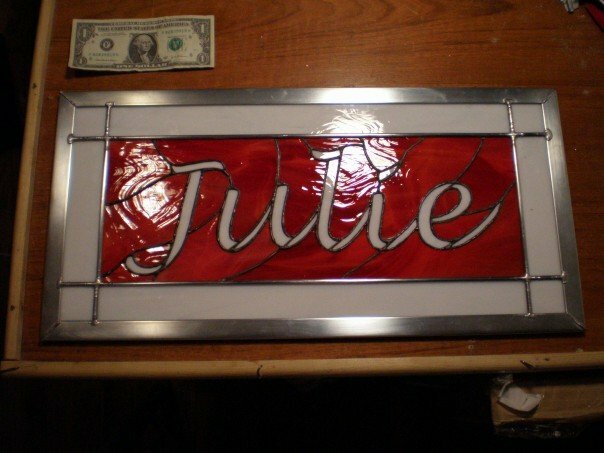 Below is one of the panels that I customized on behalf of somebody named Julie.